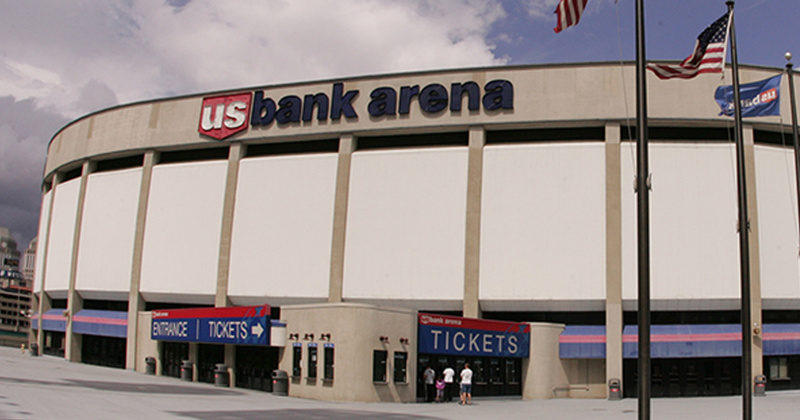 U.S. Bank Arena is an indoor arena located in downtown Cincinnati, along the banks of the Ohio River, next to the Great American Ball Park. It was completed in September 1975 and named Riverfront Coliseum because of its placement next to Riverfront Stadium. The arena seats 17,556 people and is the largest indoor arena in the Greater Cincinnati region with 346,100 square feet (32,150 m2) of space.